1. Open a $50 Bonus account. 2. Verify your Personal area, confirm your e-mail and phone number. 3. Bonus in the amount of 50 USD will be credited to your account once the verification process and contact details confirmation are successfully completed. 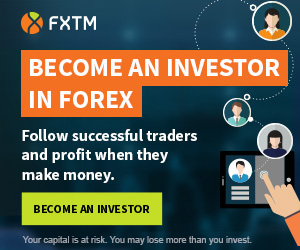 In order to withdraw profits from $25 up to $500 you must trade at least 2 lots. Bonus is not withdrawable. Bonus will be cancelled upon the first withdrawal. You can trade on $50 Bonus account with maximum leverage of 1:500. You can make deposits to your bonus account whenever you want once the bonus is credited. FBS is a broker regulated by the IFSC from Belize. FBS offers a large selection of trading accounts and many attractive promotions. Best broker in the world, got my bonus traded and made withdrawal of $115. Keep up the good work FBS team. Best broker. Withdrew my profits and was done very fast. A very good broker and am impressed. Traded the $50 bonus, made profits and you know emotions with money, l got carried away and loss all $530.12 profits generated from the bonus. It was an exciting trading experience for me as a newbie. Will definitely be back and more vigilant this time around. Great broker! EXCELLENT BROKER : VERY LOW SPREADS, VARIETY OF INVESTMENT INSTRUMENTS. AND LEVERAGE. GREAT PROMOTION…! FBS is reliable I did withdrawn my $140 Profit. The lot size is really high for my average knowledge, so I find it difficult to deposit my money to trade that lot. I registered and got the $50 no deposit account. am currently trading with it now. Hi, for this $50 bonus, can we top up balance (fund from FBS, not because we deposit)? Because I’m trading on this account but loss, so my balance is only $ 22. With this balance I can’t do trading because my balance credit for trading is insufficient. What is the minimum balance so I can trading again? what is the minimum u can withdraw? I am currently trading with this bonus ..
soon I will share with you the details and the result.